To be honest with you all, I've never been a lover of face masks. I feel a face pack is much better than a face mask as you can choose the quantity. But one evening while I was adding makeup to my cart on Nykaa, I saw the brand- The Face Shop listed in the top brands. After reading all the reviews and stalking the brand's official Instagram page, (background knowledge is everything) I added their Brightening Face Mask to my cart. Every time I shop online, I have this excited feeling going on till the time I don't get my products. It's not just there when I'm trying something new but also when I'm ordering things that I use everyday. After ordering the face mask, I was literally running towards the door every time I heard the doorbell ring. When the product arrived, it was rolled in bubble wrap. Next morning, I evened my skin tone by using a toner after which I tore the package and put the face mask on my face. The smell of this face mask resembled that of the shampoo my hair cutter uses every time I pay him a visit. 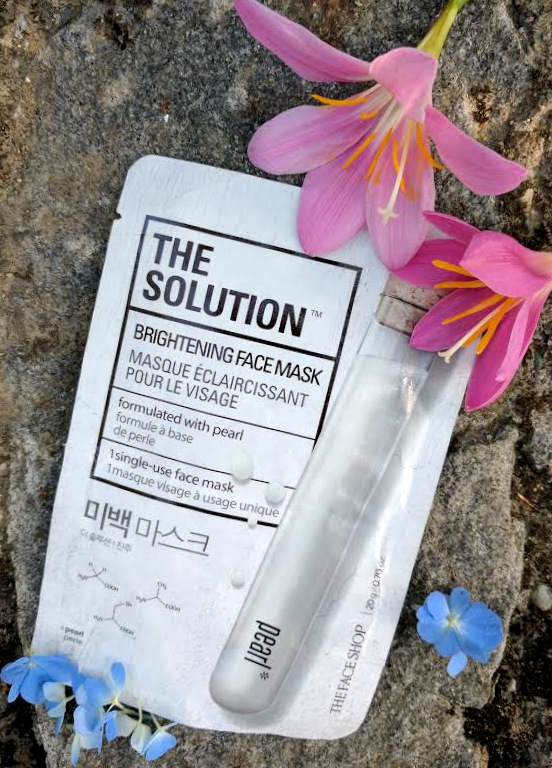 Because this face mask smells so good, you will want to put it on your face again and again. I could see the difference on my face right away. All the uneven texture was gone and my face had suddenly lit up. Oh, and on the plus side, my face smelled SO good after that. The face mask made me feel fresh and love my face. This is a must try for all those who feel that dirt and dust stick on their faces, every time they step out of the house.